The United States government has condemned the repeated killings in Nigeria and asked the Federal Government to step up efforts to stop the bloodshed and punish those behind it. 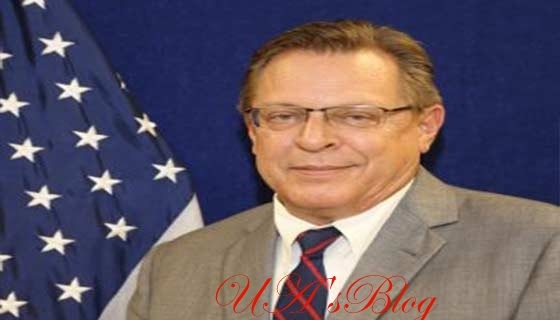 The Chargé d’affaires at the U.S. Embassy, Mr David Young, said this on Monday while addressing a peace and security conference in Plateau State. “On behalf of the United States government, I want to condemn in strong terms the violence that claimed innocent lives in Plateau State, the Middle Belt, and across Nigeria. “The killing of innocent citizens is simply not acceptable whether in Plateau, Zamfara, Benue, Borno, Delta or Taraba. We as people of faith must surrender ourselves to God,” he said. Mr Young highlighted the steps to be taken to end the circle of violence in the troubled states and other parts of the country. He explained that the first step was to bring criminal actors arrested in connection with the attacks to justice by promptly trying them. “So, we call for effective law enforcement to arrest and prosecute criminal actors who do evil things. “It’s absolutely essential that those arrested must promptly face charges in court because bringing criminal actors to justice is the first step to end the violence,” he added. The Plateau State government had convened the three-day peace and security conference as part of the processes of peace-building in the aftermath of killings in some communities of the state. It is also one of the various measures by the government to resettle those displaced by the attacks in their ancestral homes and to tackle the challenges of peace and security. The conference attracted participants from all sectors – traditional rulers, community leaders, security experts, as well as government and non-government organisations within and outside Plateau. The topics discussed include peacebuilding, security, as well as the roles of traditional, religious and community leaders in peacebuilding.